Ridley’s core feed business in the U.S. is better known as Hubbard Feeds®. Hubbard has a long history of providing a full range of advanced nutrition products and innovative support services to commercial meat, milk and egg producers, and increasingly to niche segments ranging from show feed producers to lifestyle farmers. 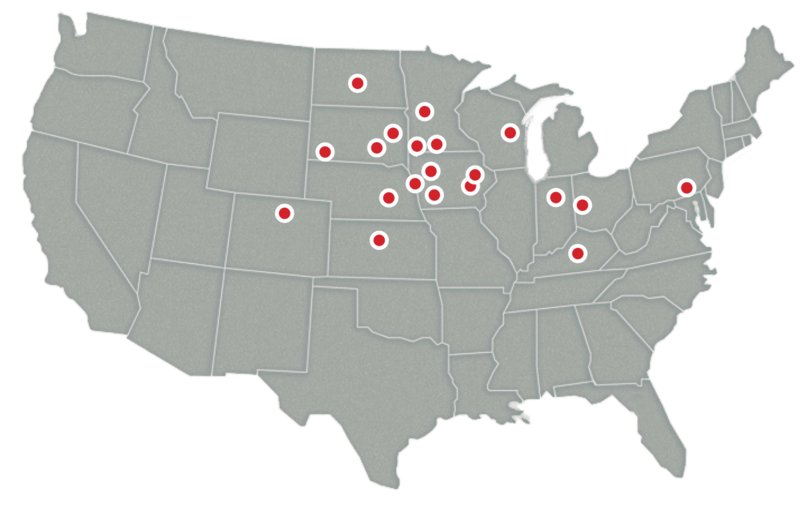 Hubbard operates 20 plants located mostly in the upper Midwest. Most of Hubbard’s products are marketed through one of the industry’s largest networks of retail dealers.